I'm calling for the Scottish Government to allocate extra funding to Dundee to support the work of the city as an UNESCO City of Design. Scotland's two other UNESCO cities Edinburgh UNESCO City of Literature and Glasgow UNESCO City of Music receive extra funding to support these initiatives. 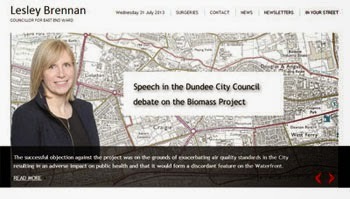 I was delighted when Dundee was named as an UNESCO City of Design. This is an amazing accolade for our city. It is important for Dundee and indeed for the whole nation that Dundee's role as a UNESCO City of Design is supported adequately. It is also important that a programme of events are brought forward which are meaningful to the citizens of Dundee and which also attract visitors to our great city. Edinburgh and Glasgow both have UNESCO Designations, for Literature and Music respectively, and receive funding via the Scottish Government's arts body Creative Scotland to support that work. As things stand Dundee is going to look to fund the UNESCO City of Design programme from existing budgets. It seems to me only fair that Dundee should be treated in the same way as Edinburgh or Glasgow and should receive external funding for this programme. I am calling upon the Scottish Government to step up to the mark and support this important work in our city. 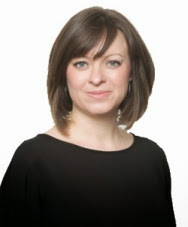 I am writing to Fiona Hyslop, the Cabinet Secretary for Culture asking her to look at ways of giving extra funding to Dundee for this important work. Both Scottish UNESCO cities receive funding through Creative Scotland, which distributes money from the National Lottery and the Scottish Government. After last week's visit to the building site at Harris Academy this week saw the latest meeting of the project board for rebuilding the school. It was good to hear about progress on the new school building. A number of issues were raised about road safety issues around the school when it returns to the Perth Road. As a local resident I know some of the issues which happen around the school and we should be using this rebuilding period to try and make the school and its environs as safe as possible. I hope that the school is successful when it returns to the West End in August 2016. On Tuesday evening I attended the consultation meeting held at Harris Academy on the SNP Administration's proposals to close Menzieshill High School. You can read the Administration's proposals here. For the West End the proposal to close Menzieshill High School would have a knock-on impact on Harris Academy with Menzieshill pupils transferring to Harris Academy. This would mean that Harris Academy could be over-capacity on day one in the new building. It might also mean that pupils who want to attend Harris Academy in the future will have had to attend an associated primary school and to live in the catchment area. I would urge everyone with an interest in the education of young people in our city to read the Menzieshill High School consultation and the other school estate consultations which are underway just now, and make your views known to Dundee City Council. It is important that councillors and the other members of the Education Committee listen to the views of parents, carers and young people and act accordingly once the consultation has finished. Towards the beginning of last night's debate about the future of the V & A project I asked a very simple question. 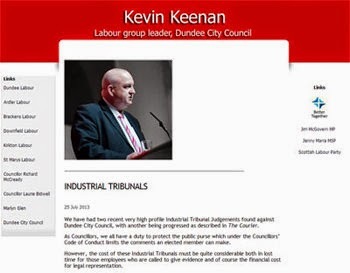 Is it Dundee City Council's policy not to give contracts to companies which have been guilty of blacklisting? The answer from the Leader of the Administration was 'yes'. You will then be as confused as I am that we left the meeting having awarded a £80 million contract to a blacklister which has not made appropriate reparation. Back in September I tried to get the council to put pressure on BAM to make the appropriate reparations, effectively to apologise and to pay an agreed level of compensation to those who were blacklisted on that occasion the SNP and Conservative councillors voted against my amendment. 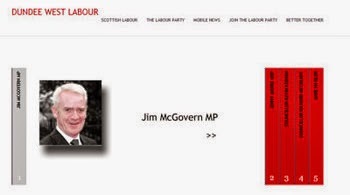 I also pointed out that two of the twenty-five people taking legal action against BAM are from Musselburgh and from Alloa, which the last time I checked were in Scotland. So here we have a company which has taken part in blacklisting and which has not made the appropriate reparation to those concerned. From my perspective what BAM need to do now is very simple, they should apologise to those who have been blacklisted and pay appropriate compensation and make a commitment not to be involved in blacklisting any more. Perhaps they could use some of the £80 million that they will receive for this contract to do so. After receiving the responses from BAM I asked officers and the Convener if they still stood by paragraph 10.3 of the report. They said that they did. I will continue to pursue this issue. Councillor Ken Guild the leader of the council ruled my amendment out of order. 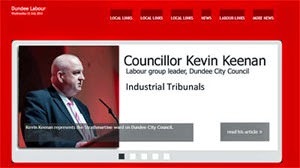 For me the moral case is clear Dundee City Council has a clear and unambiguous policy against blacklisting. We have just let one of the largest contracts which we will ever let to a self-declared blacklister which has not made reparation. This is unacceptable and I call upon BAM to wipe the slate clean and cleanse their wrong-doing with regard to blacklisting and then we could move forward with this important project for the city of Dundee. At this evening's Policy & Resources Committee the council agreed a way forward for the V & A project. This came after the disgraceful revelations last week which highlighted that the cost of the V & A project had nearly doubled. 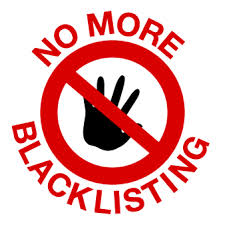 I will post separately on the important issue of blacklisting. It is clear that there have been many mistakes made in this process so far. It is clear that there can never again be the two classes of councillor on Dundee City Council. Opposition councillors must be kept in the loop and not systematically denied information as has been the case with the V & A. We all have a duty to scrutinise the work of the council, all the work of the council there can be no no-go areas for opposition councillors. After a week or so of bluff and bluster from the SNP Administration finally they brought forward an amendment to their own inadequate report which agreed to many of the demands which we were making. These included an independent inquiry which will be headed by John McCelland, who wrote a report on procurement for the Scottish Government. This report intends to tell us about the lessons that can be learned for future projects. I hope that such a report will look at lessons that can be learnt in the future of this project. There will be a Project Board to oversee the construction phase. This will include the Chief Executive, 4 SNP councillors, 4 opposition councillors, the Director of City Development and the Director of Corporate Services. I welcome this and have thought that such a board should have been in place since day one. The scrutiny on this project board must be strong and robust scrutiny must now be welcomed by all officials. Finally, regular reports will now be brought forward to the Policy & Resources Committee setting out progress on the project. This is welcome. I hope that the culture of secrecy and the lack of openness will now be finished once and for all, at least on this project. I support the V & A Museum of Design, Dundee and have done so from the start. However, my support does not equate to a blank cheque. The hard-pressed council tax payer of Dundee must have confidence that this is money well spent. If there is a genuine change of heart on the part of the Administration and the officers then I hope that we can move forward. We need to ensure that costs are kept down and that are no more nasty surprises with this project. At this evening's meeting in the City Chambers there was a large television which displayed a fly-thru of the Waterfont Development and the V & A. I welcome this use of technology which brought the council, kicking and screaming, into the late twentieth century. Given that it was there because of the at least £35million increase in the cost of the V & A project does that make it the most expensive television in the world. I hope that the V & A project has now turned a corner. However, the proof of the pudding will be in the eating. I will certainly be trying to ensure that there is robust scrutiny of this project as we go forward. I will not settle for a return to business as usual. Given the initial reaction of the SNP Administration to the remarkable increase in the cost was to talk about 'Significant economic benefits of an £80.11 million project to construct the V&A Museum of Design Dundee will be discussed by Dundee City Council’s policy and resources committee on Monday January 26.' 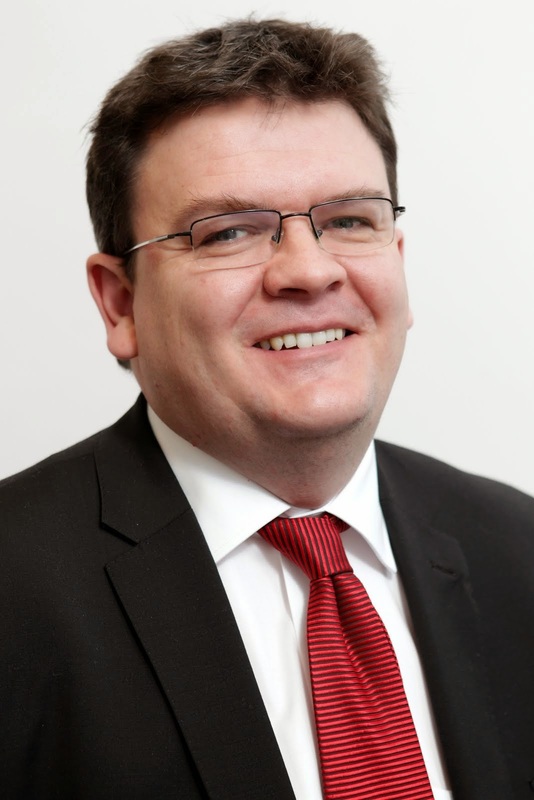 The movement over the last week in response to pressure put on them by my colleagues like Councillor Kevin Keenan, Jenny Marra MSP and Claire Baker MSP is quite remarkable. It is good that for once the un-listening SNP Administration appear to have listened. I was delighted to join council colleagues and others visiting the building site at Harris Academy on Friday. It was really good to see progress being made. I think that this will be a very interesting building once it is finished. It was also good to see in Thursday's Evening Telegraph pictures of the new school. I am pleased that the public of Dundee who, after all are paying for the new Harris Academy, have been given the opportunity to see pictures and videos of the work progressing that is only right. As one of the local councillors and a member of the project board responsible for overseeing the rebuilding of the school I enjoyed my site visit to the school on Friday. You can see the Evening Telegraph's picture's here. 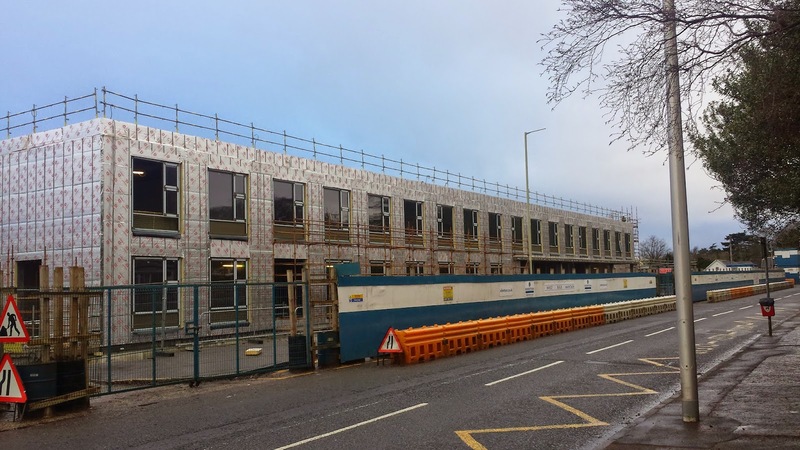 I was a little disappointed earlier in the week when my colleague Kezia Dugdale MSP was refused a tour of the site, despite the fact that she is a former pupil of the school. The reason given was that local councillors should get to visit before others. I was pleased that opposition councillors were for once being given their place, unlike for example in the ways in which the V & A project has been handled. The argument about not allowing Kezia Dugdale to visit the Harris out of respect for the position of local councillors does seem to be rather at odds with allowing a newspaper access to film and photograph inside the new school before the local councillors were given the chance to visit.